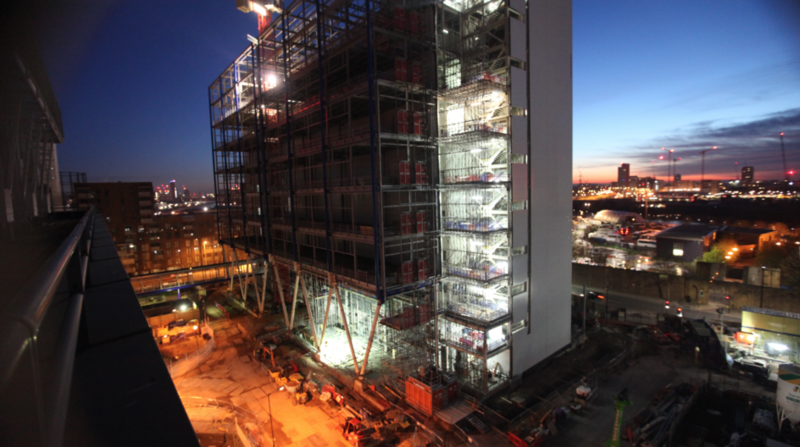 Working again with Telehouse we were asked to create a time-lapse film of their new North Two tower data centre in docklands. The new site is one of the most advanced data centres in Europe, so we had to make sure we captured the entire site build from foundations to finished building. Filmed across a 20 month period in remote and outdoor conditions (and over two winters), we needed to build custom housing to protect our camera equipment from all elements. We also built a UPS supply in to the housing so that the cameras had backup power incase the bespoke waterproof AC supply failed.